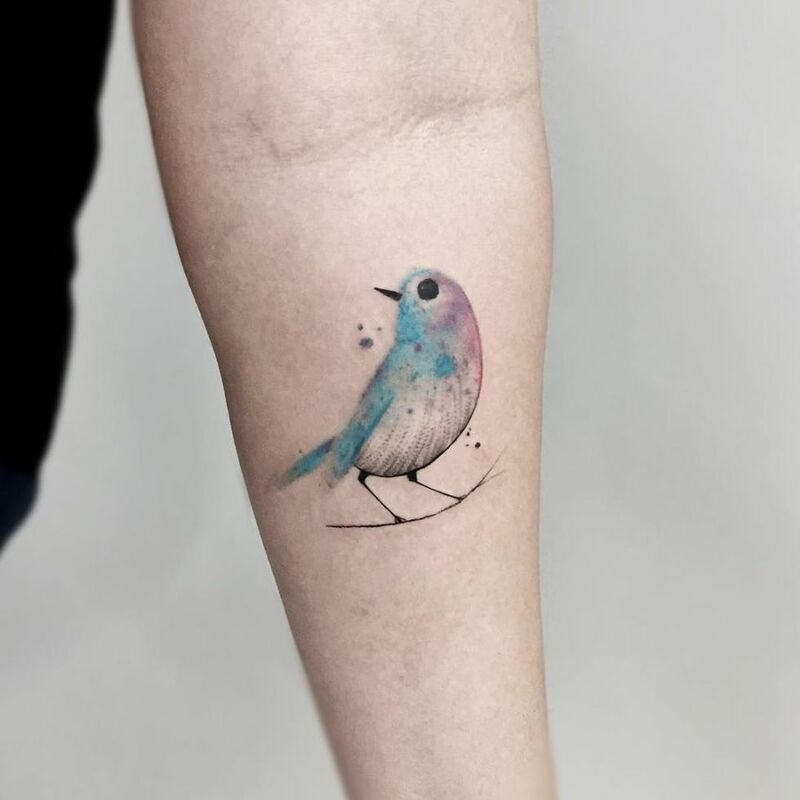 There are several tattoo artists nowadays doing this watercolor/painting/sketched style, but the work of Felipe Mello is really exceptional. 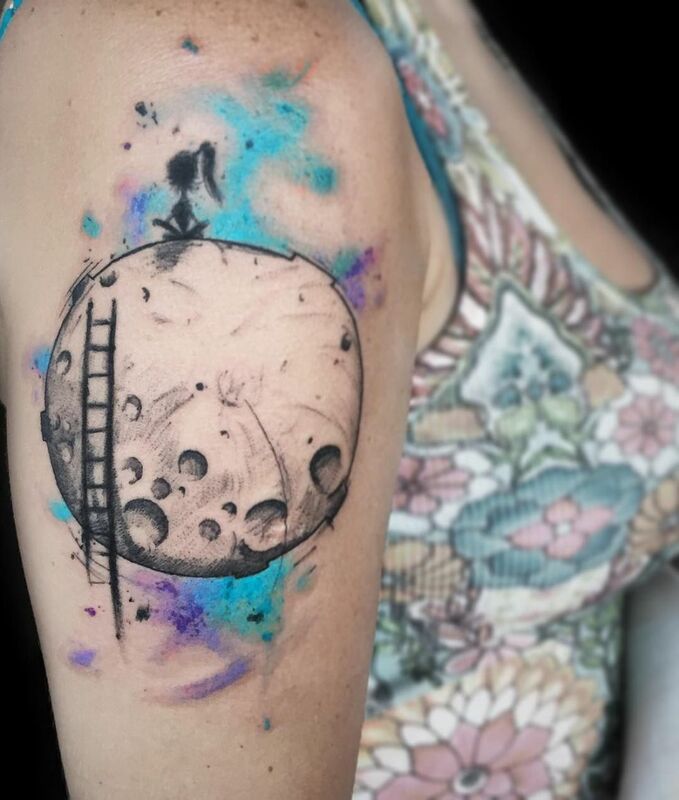 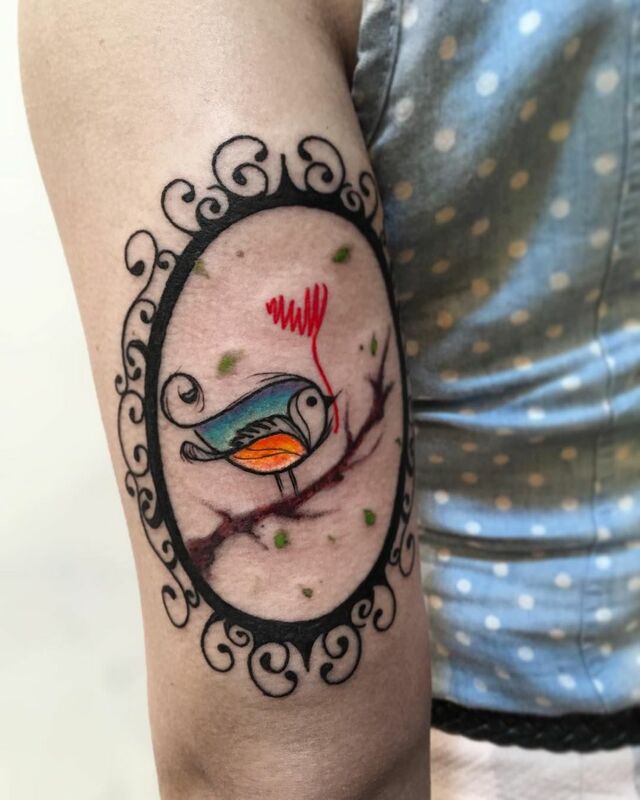 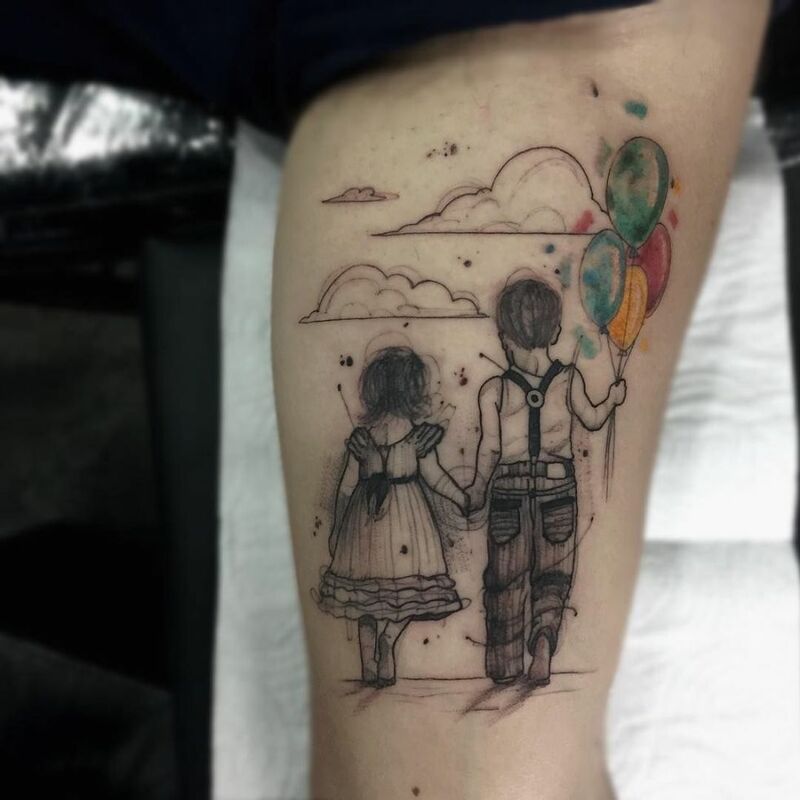 If you want a unique tattoo, you should check his colorful and sketchy tattoos for inspiration. 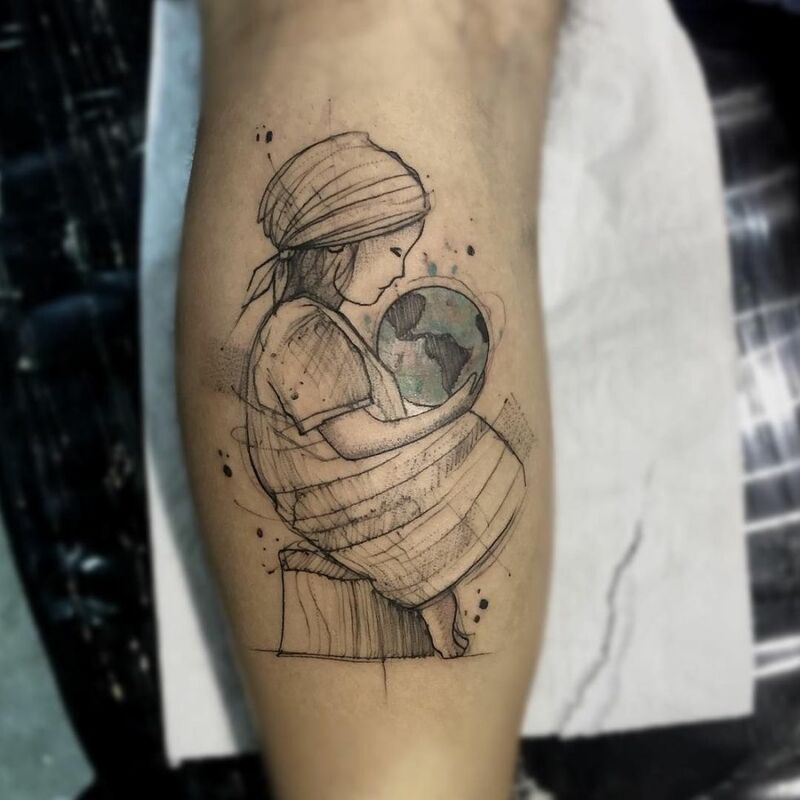 Felipe Mello is a Brazilian tattoo artist currently working at King Seven Tattoo Studio in Rio de Janeiro. 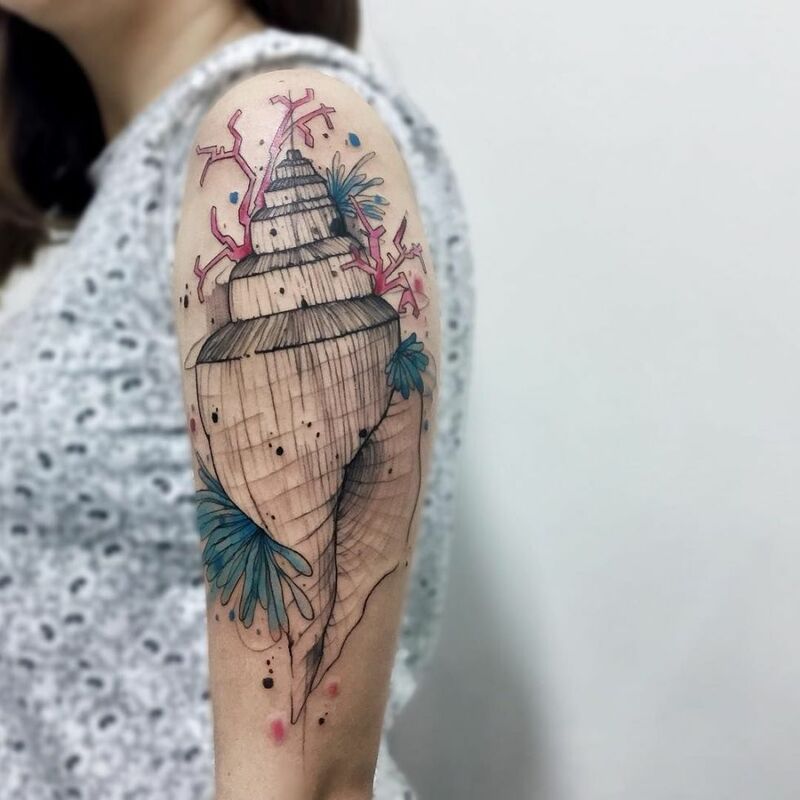 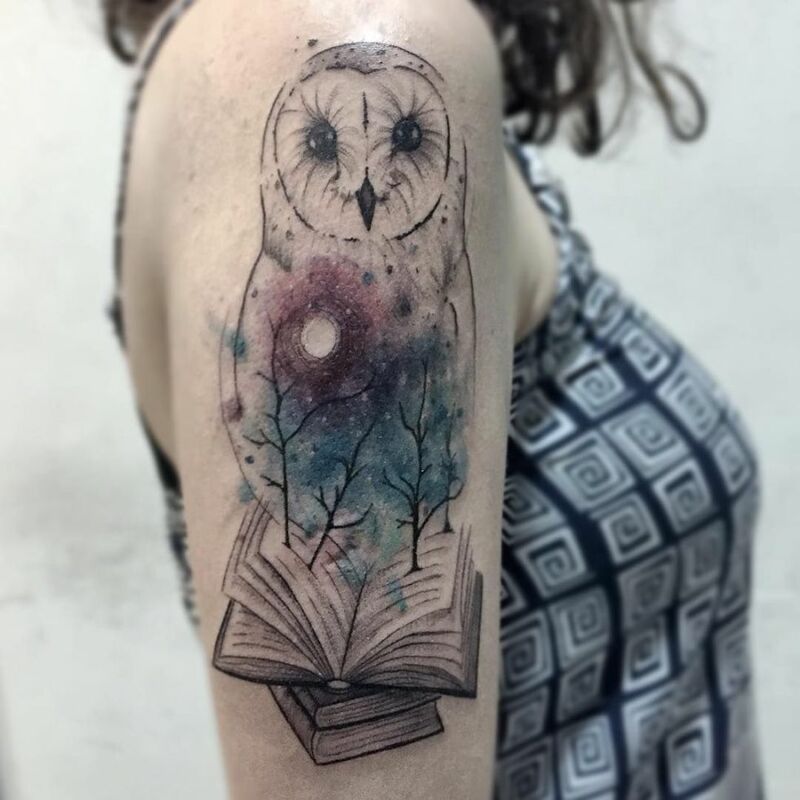 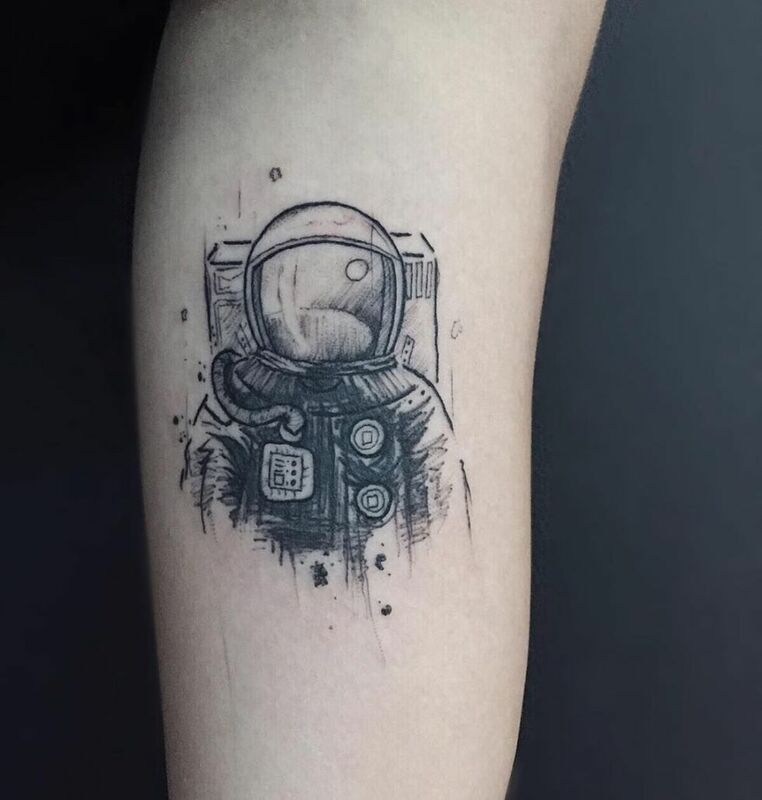 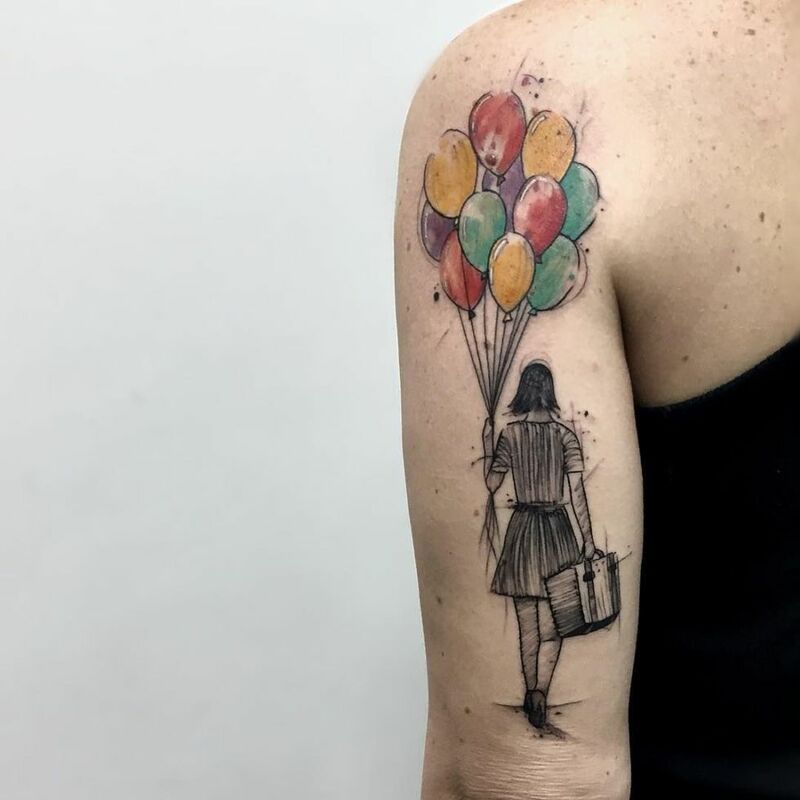 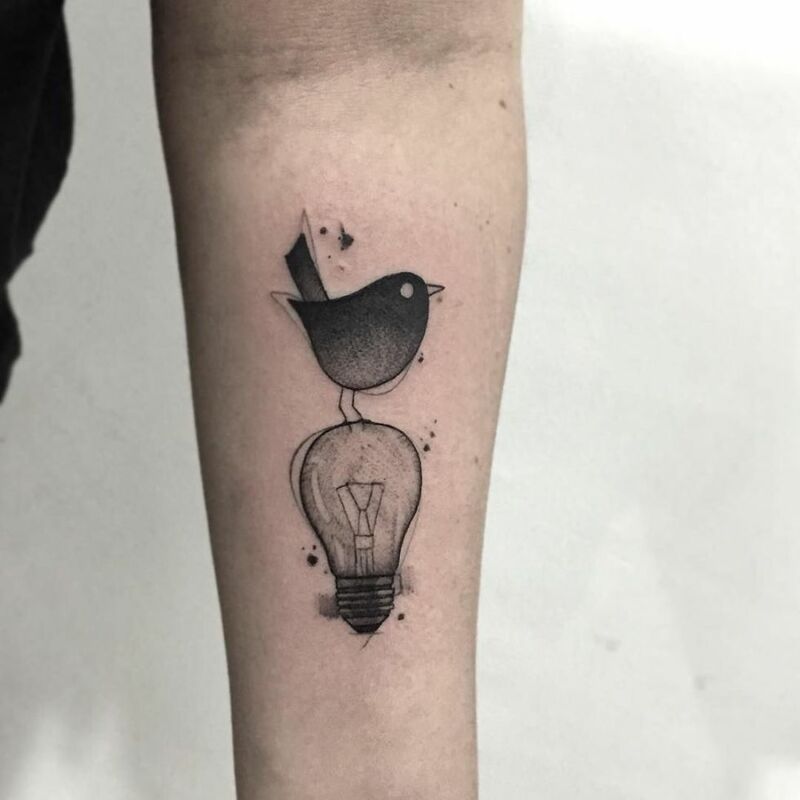 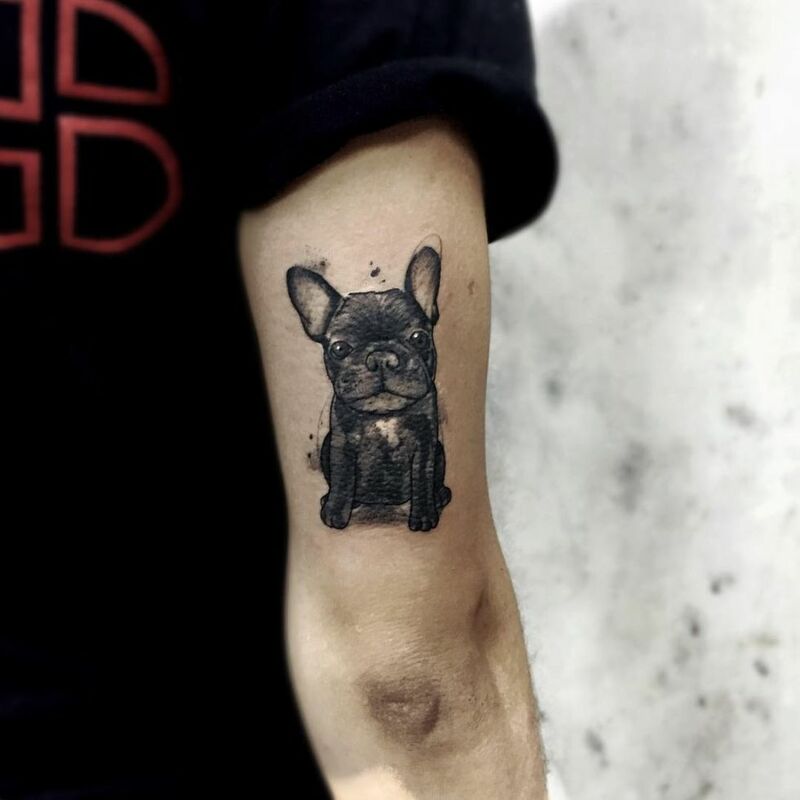 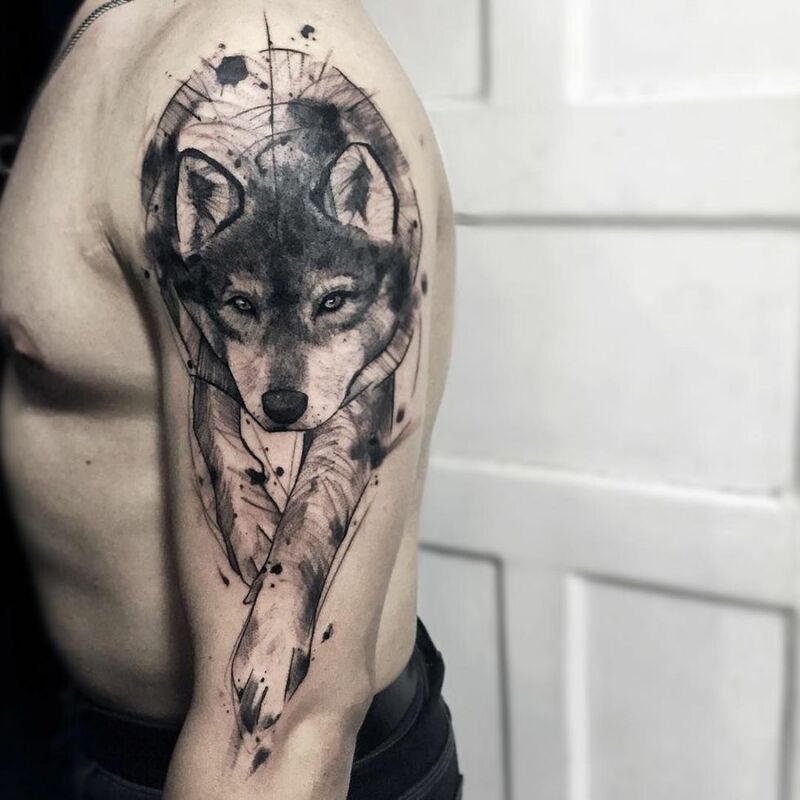 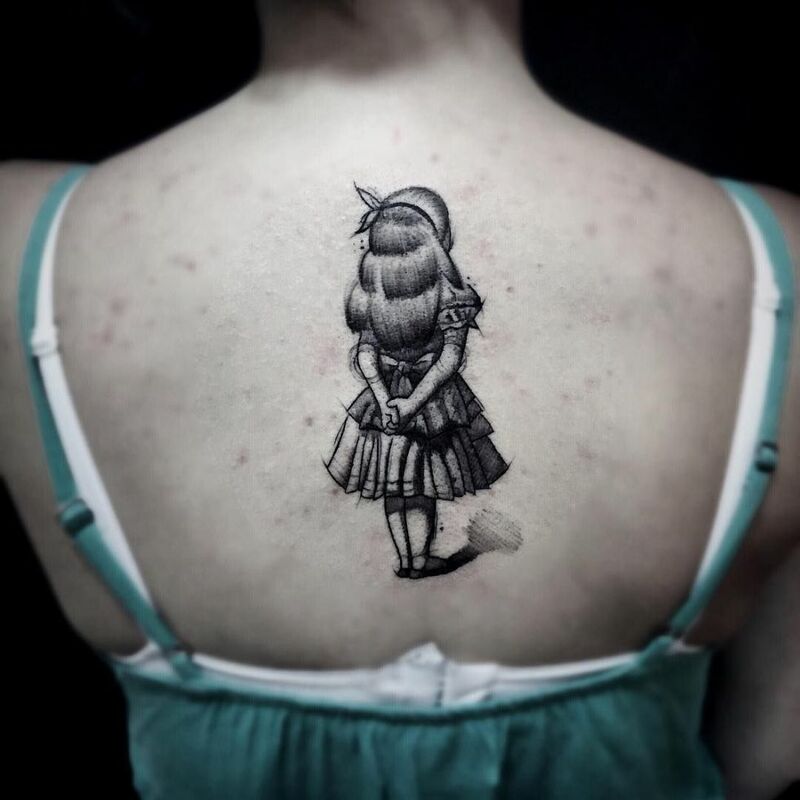 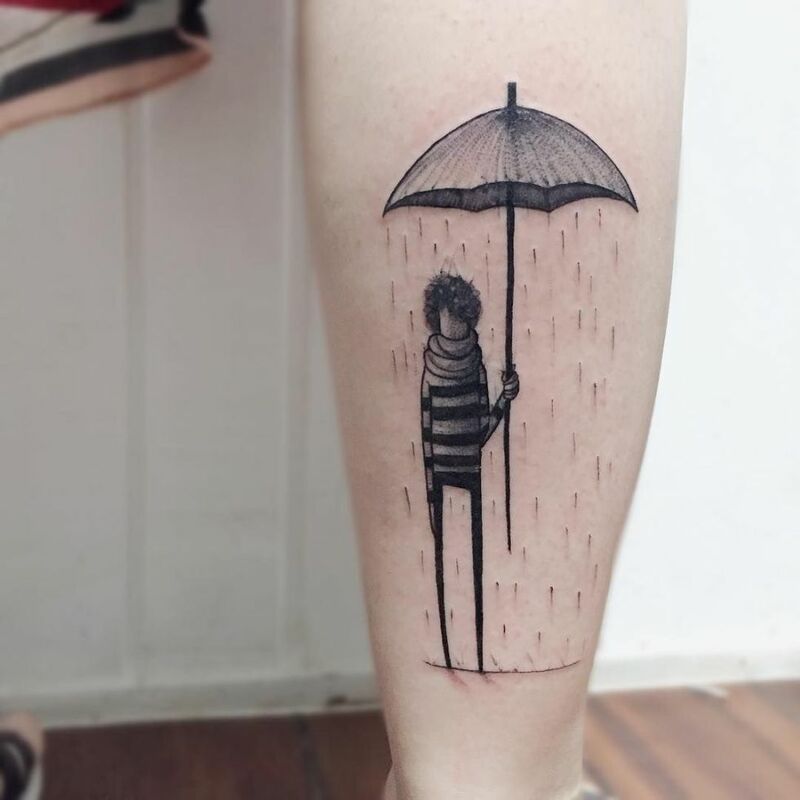 With a passion for drawing since childhood, the Carioca artist developed an original tattoo style, starting from black and grey realistic tattoos and moving easily to the illustrative ones. 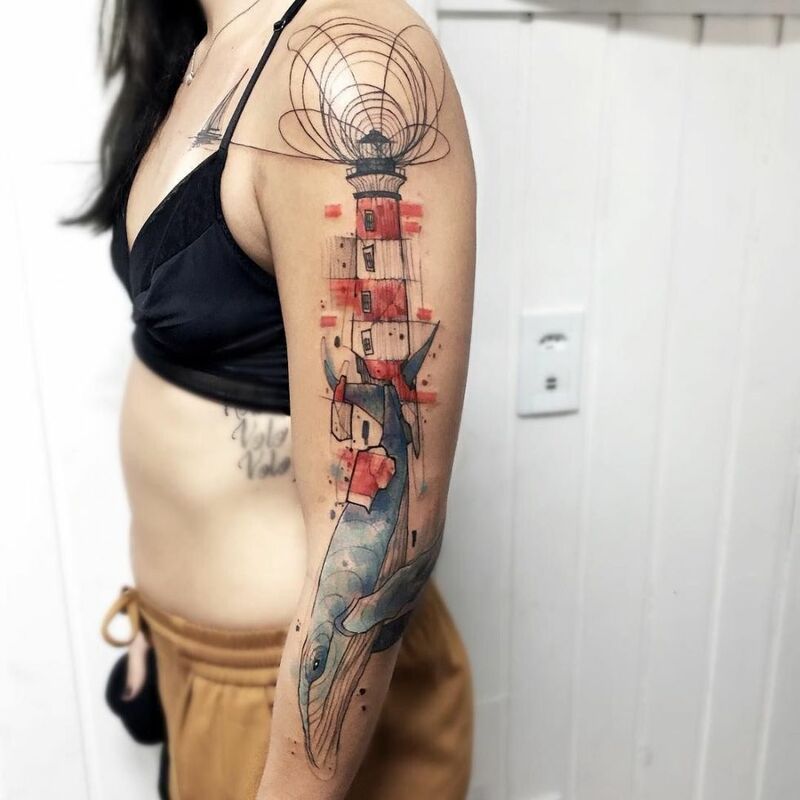 Combining multiple tattoo styles, including modern art and abstract realism, Mello creates one-of-a-kind tattoos you’d see nowhere else. 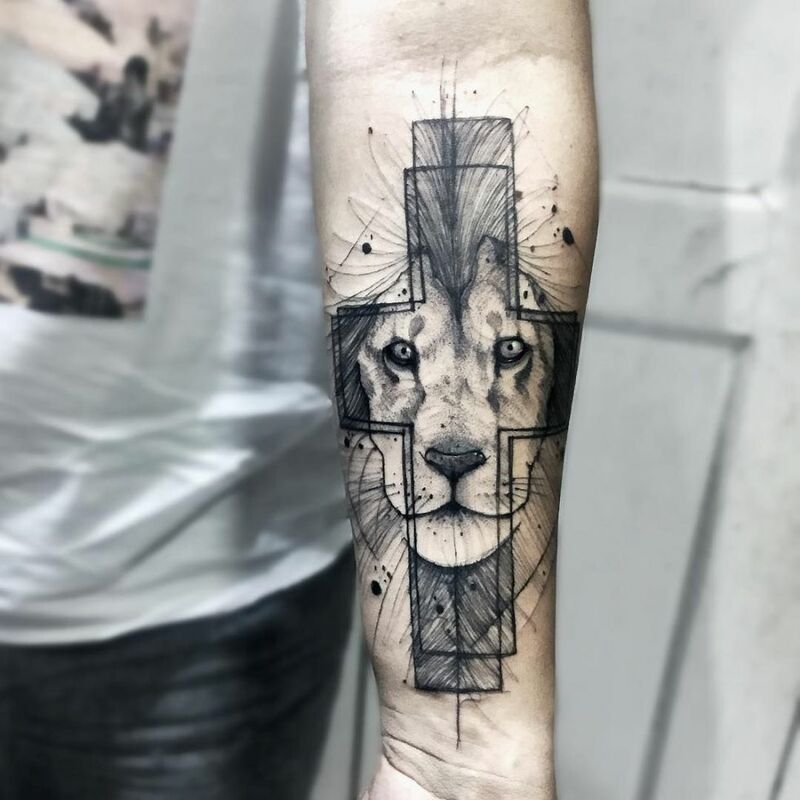 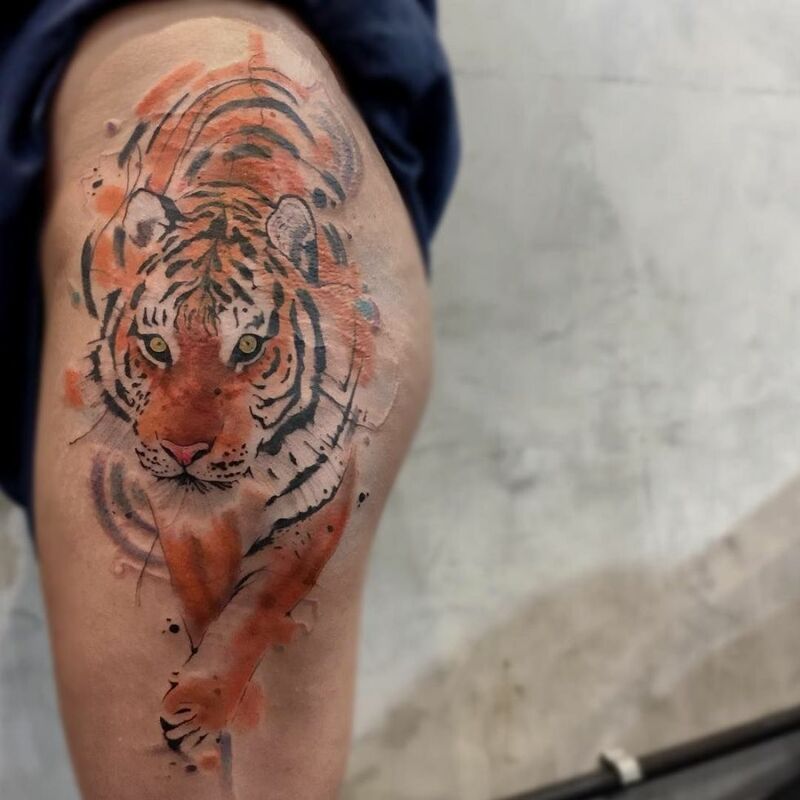 He enjoys the messy aspect of sketch tattoos, blending it with other contemporary graphic effects such as paint drips, watercolor splashes and sometimes geometric shapes. 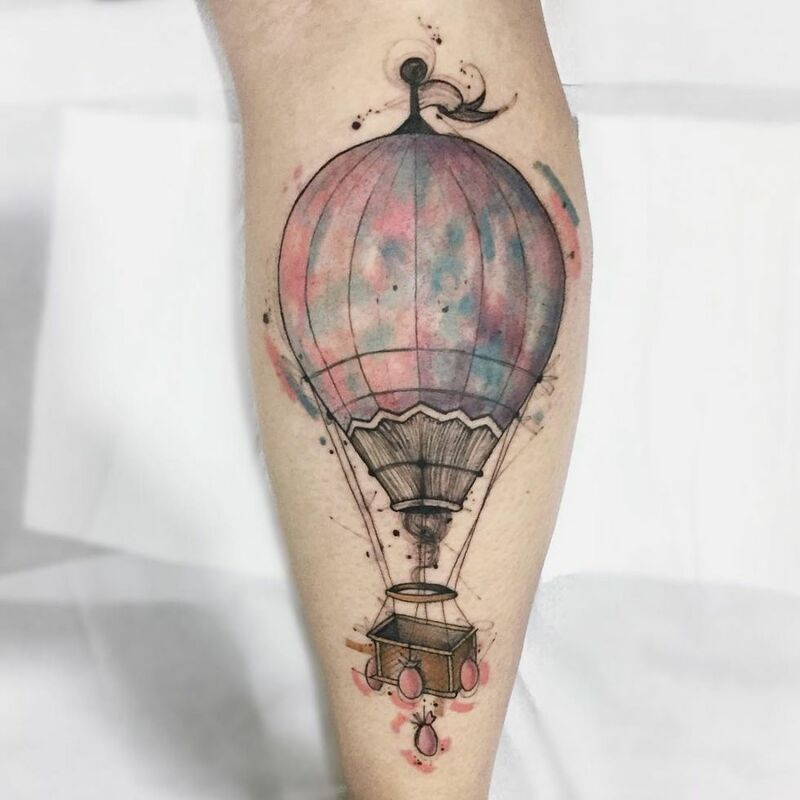 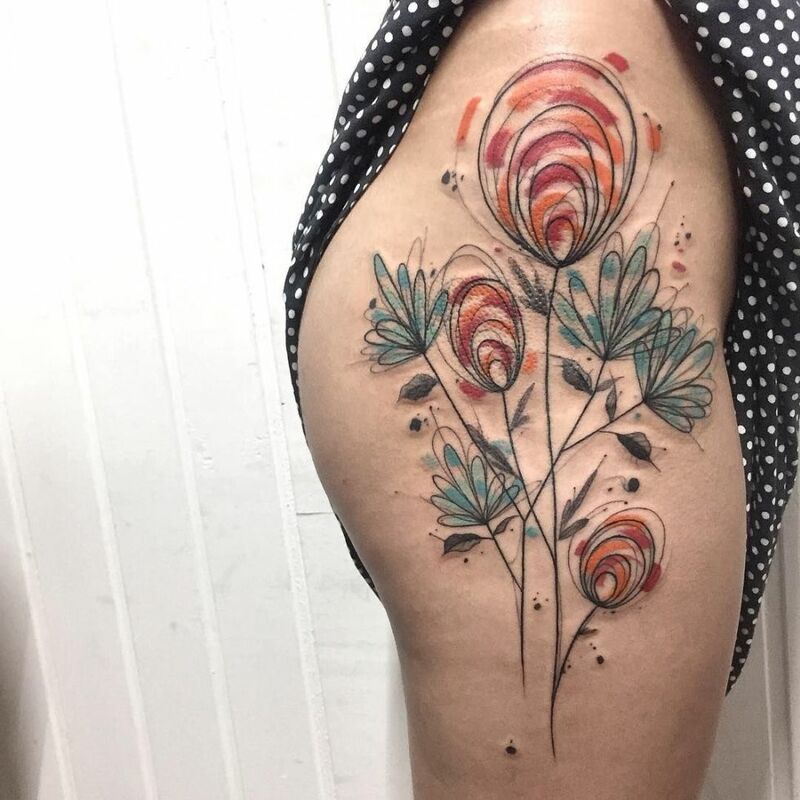 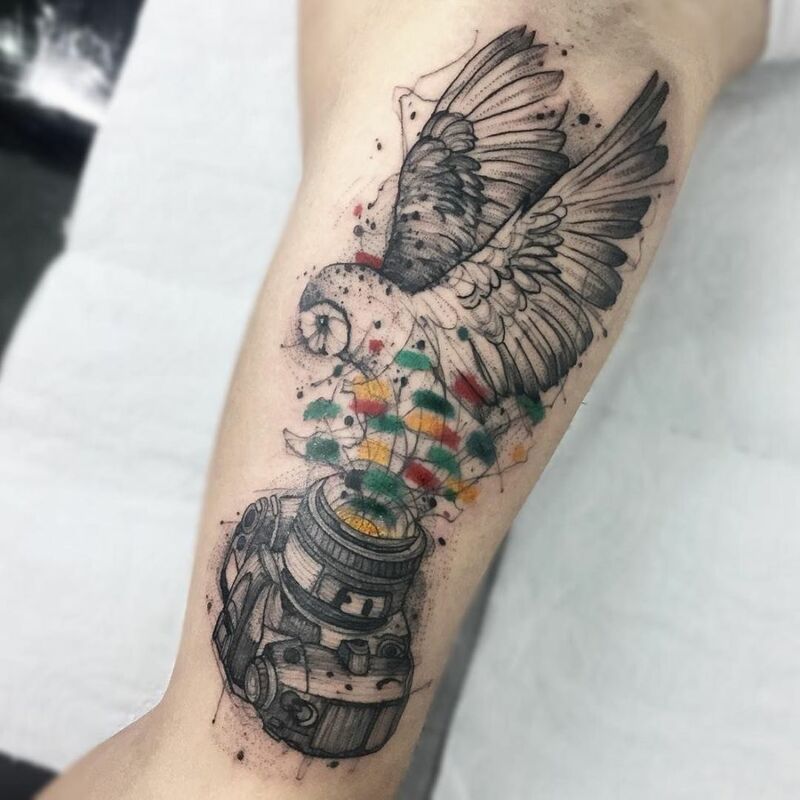 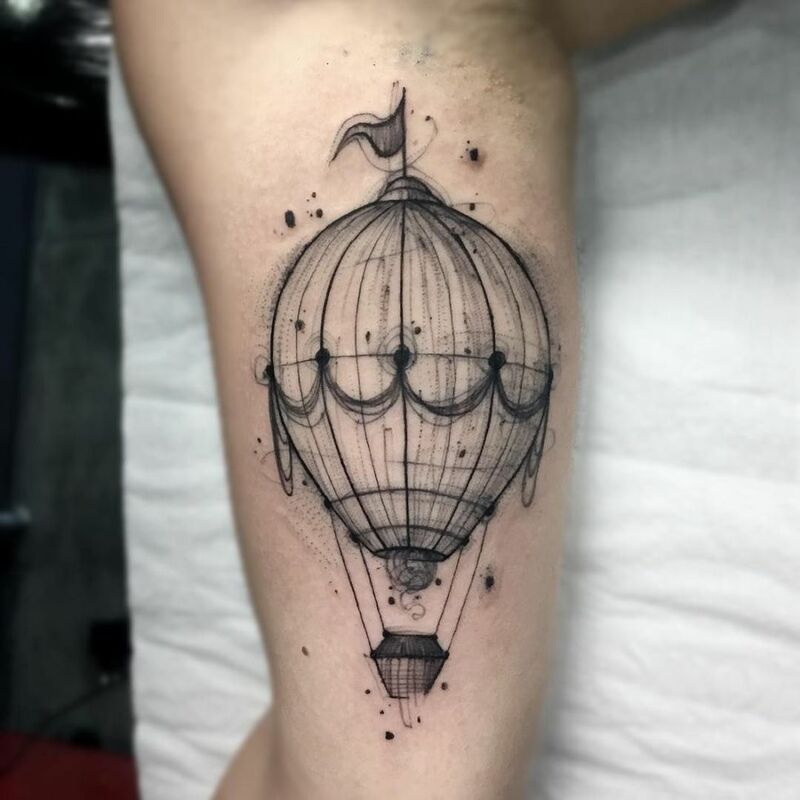 In terms of inspiration for the designs, the Brazilian artist works like a creative agency collecting ideas, concepts and briefings from his clients and adding his personal touch to create unique, colorful, and expressive illustrations to be tattooed. 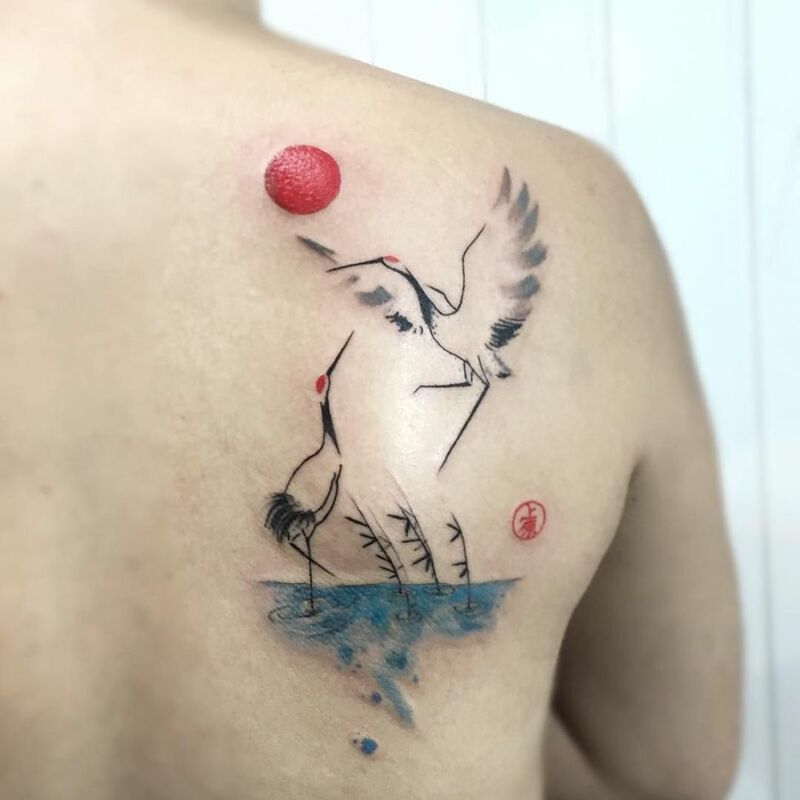 If you are curious about contemporary tattoo art, you could be seduced by his original sketch tattoos. 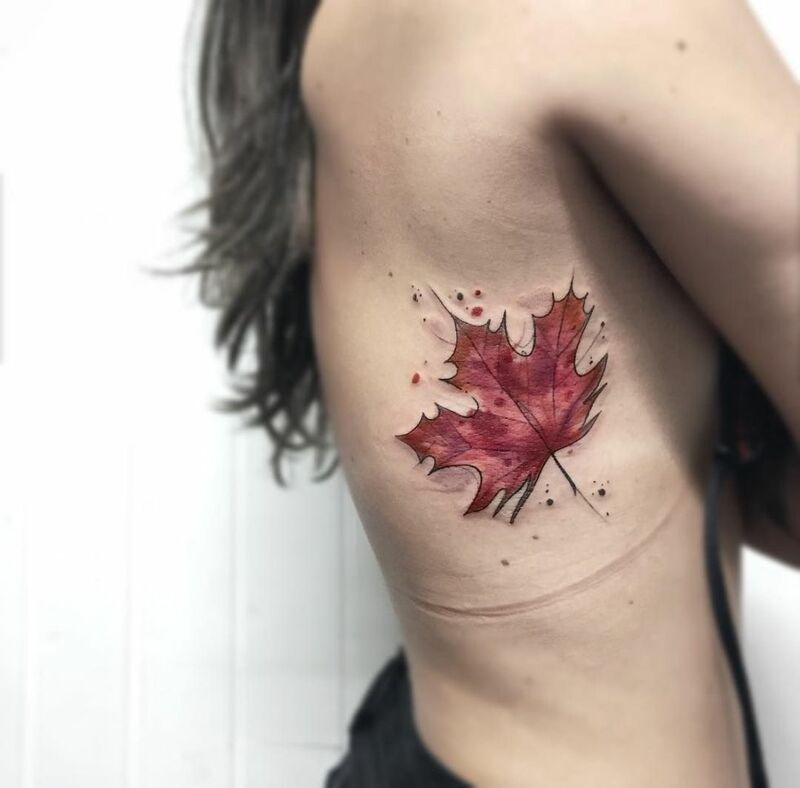 Artists like Felipe Mello prove that body ink is also a form of art – follow him on Instagram or Facebook. 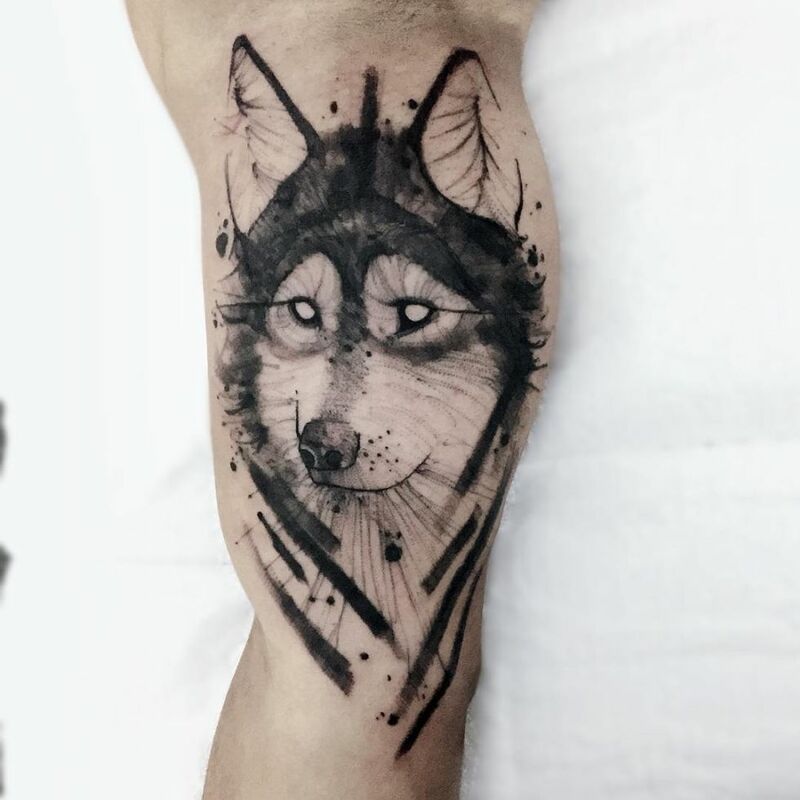 for sure, Felipe Mello is a true ink master!